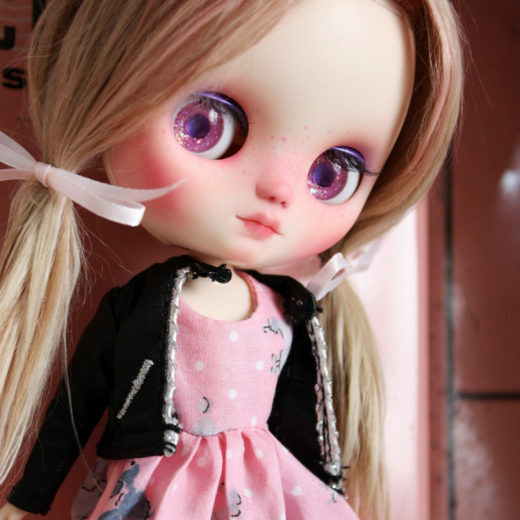 My name is Jessica aka Dear Girlface and I live in a small town in NJ right over the bridge from Philadelphia with my wife and our two tiny black chihuahuas – Elvis and Memphis (and a gang of dollys!) 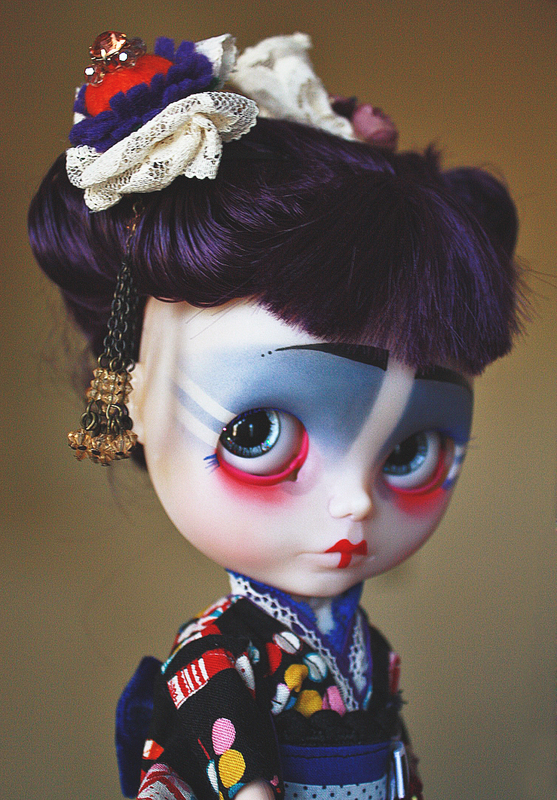 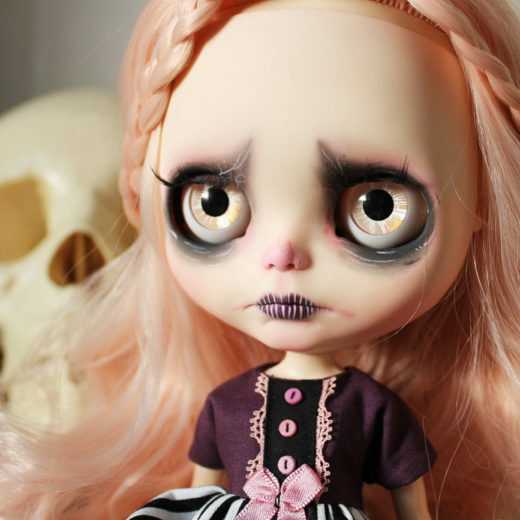 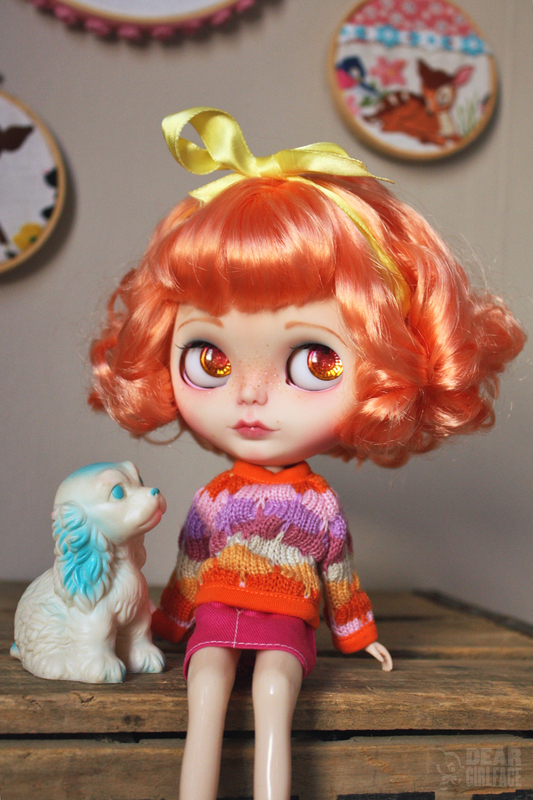 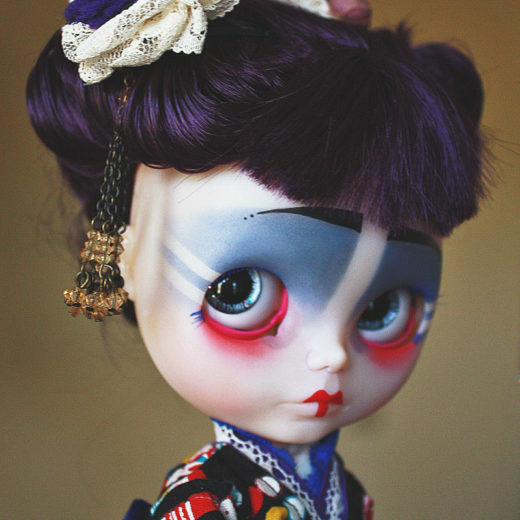 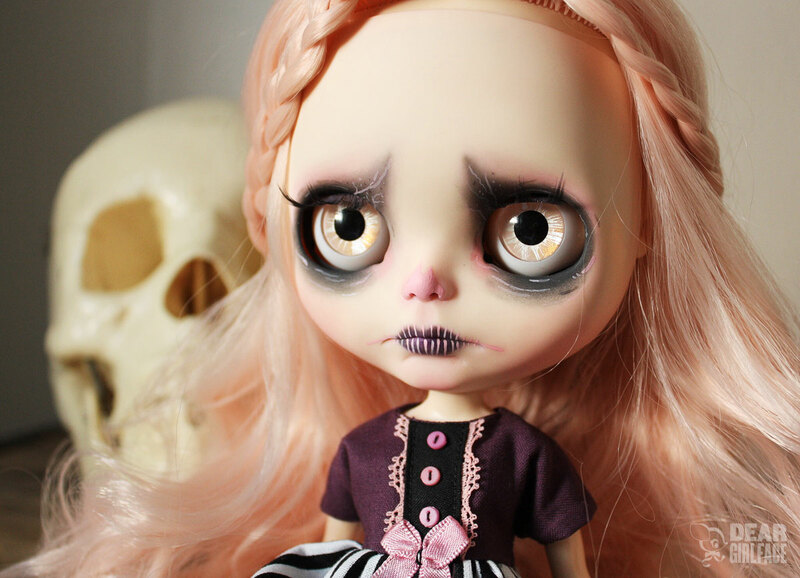 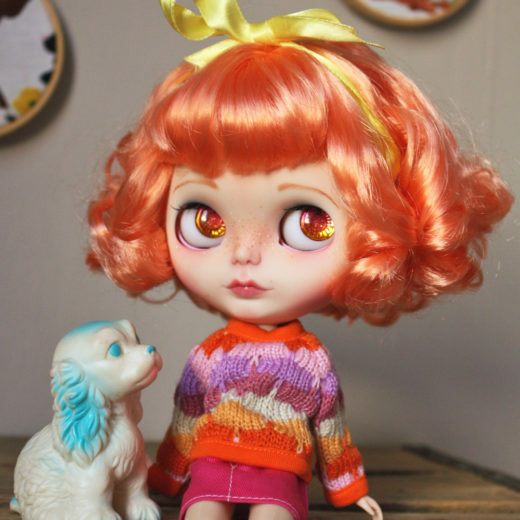 I’ve been customizing Blythe since 2015 and have been sewing and creating for them a little longer than that. 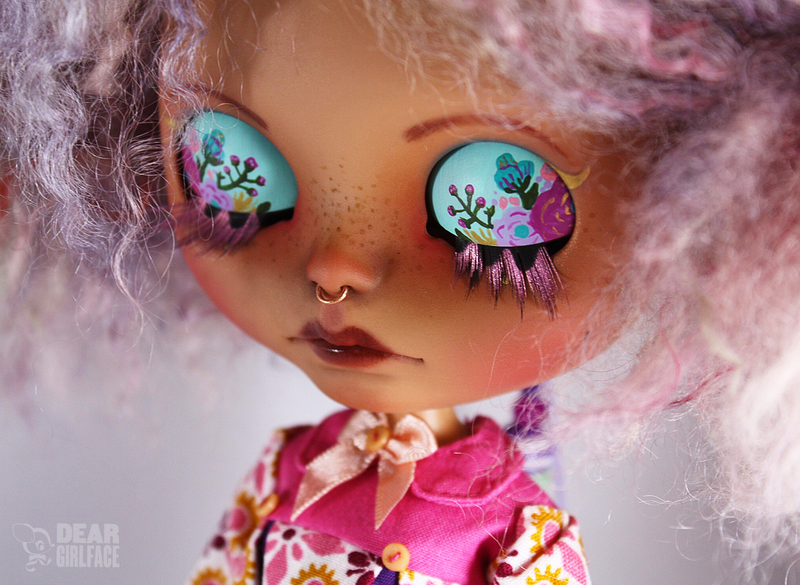 Even though I have a pretty awesome day job, customizing is my true passion. 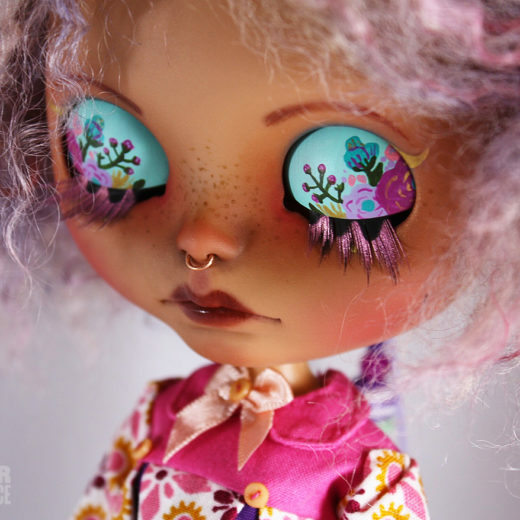 I just love seeing those sweet, big ol’ heads come to life and how they can be tweaked and changed in so many different ways!